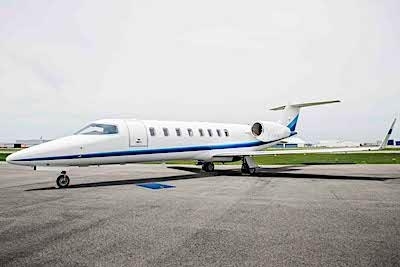 Of the three Skyservice Learjet 45 aircraft, one is already benefiting from the system installation, with the next two scheduled for SD DLU upgrade in early 2019. Upon completion, the installations will support CPDLC (FANS1/A and ATN- B) compliance to augment operational safety. Skyservice will use their STC to support other Learjet 45 operators requiring installation which helps retain asset value while optimizing performance. "Skyservice is one of the first MROs to comply with 9,600/10,000/14,800-hour inspections and has more than 30-years-experience in Learjet maintenance. The SD DLU is a proven product that supports more efficient Learjet 45 operations. With their support we are now positioned to be the facility of choice for these upgrades," said Paul Weeks, vice president, Maintenance for Skyservice Business Aviation. "Skyservice has a long legacy of excellent support for Learjet 45. Our DLU solution makes operating these aircraft safer and helps manage operating costs," said Robert Vega, Director of Product Management at SD. "Our DLU is already fitted on numerous aircraft and we’re excited to have this newest STC available for the aviation industry. The upgrade allows operators to both reap the benefits of more efficient routes and preserve critical safety features including FANS-1/A compliance."